The BLS "Marching Crompton II" tour train arrived into Yeovil Pen Milll station some 12 minutes early but had to await crossing the late running 2E22 train from Weymouth to Gloucester, so departed five minutes late. 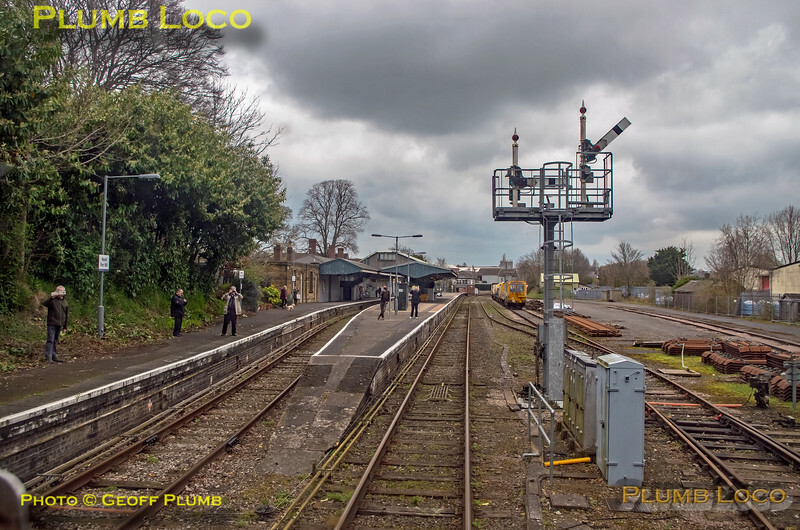 This is the view of the station from 47851 as the train departs for Weymouth at 12:13¾ on Saturday 23rd March 2019. Digital Image No. IGMP45636.